One of the most commonly heard statements in any Florida personal injury attorney’s office has got to be, “I’m not sure if I need a lawyer or not.” People, out of understandable ignorance of the law, really aren’t sure if they should accept a settlement offer from an insurance company, if they need an attorney to represent them or, many times, if they even have a personal injury claim. As someone who has spent his entire adult life working to protect the rights of those who have been unduly harmed because of the actions of others, I find this very troubling. I ask myself: If this many people are asking the same questions, how many never even bother to ask and simply suffer in silence? At Sinclair Law, we believe that educating the public is as important as representing them. So, in the interest of helping you protect yourself, we would like to offer you this short guide to determining if you need a personal injury attorney. This may sound like a simple question but Florida Personal Injury Law is very specific about what qualifies as grounds for a personal injury claim. You must have suffered a physical or emotional injury that is both demonstrable and the results of someone else’s negligent behavior. Merely getting mad isn’t sufficient grounds, and injuring yourself on someone else’s property doesn’t qualify unless you can show they contributed to your injury in some way. In some cases, liability in an accident is easy to determine. If a driver runs a stop sign and strikes you, they are at fault. Other cases can become more complicated. Say you are running down a flight of stairs in a mall and slip and fall. The steps have the wrong type of coating on them, making them unusually slick. The mall would surely bear the brunt of the liability, but the contractor who applied the coating could also be considered partially at fault; and because you were running, you could be considered guilty of contributory negligence. 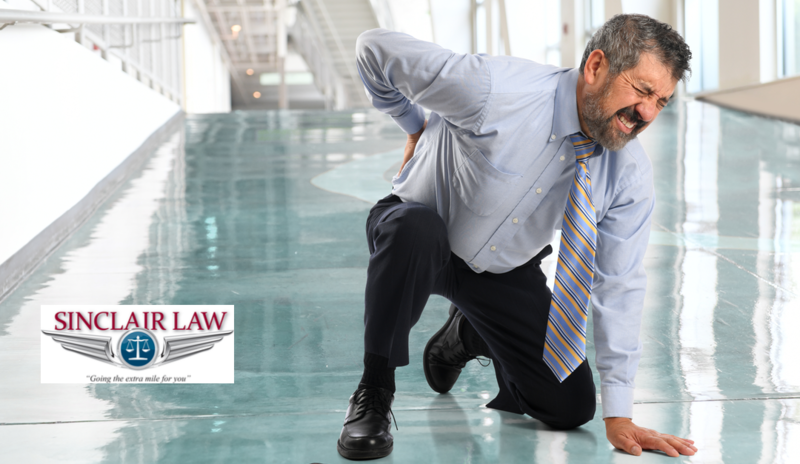 The services of a qualified personal injury lawyer are paramount in such cases. Have You Already Accepted a Settlement? This is a question that could easily have been at the top of the list. In most cases, once you have accepted a settlement from a negligent party or their insurance company, you waive your rights to further claims. Under Florida Statutes Annotated section 95.11(3), personal injury claims are governed by a four-year statute of limitations. However, in special circumstances like airlines and cruise ships, you could have as little as six months to file a claim. Did You Suffer Monetary Losses? Medical bills, lost wages and loss of potential earnings are all considered recoverable monetary damages in a personal injury case. They are just the tip of the iceberg, though. To fully understand the possible value of your personal injury claim, it will need to be fully investigated by a personal injury attorney. Wrongful death lawsuits are some of the most complicated in personal injury law. For me, they are also some of the most gratifying. If you have lost someone dear to you due to the negligence of others, you should seek legal counsel as soon as possible. It is my sincere hope that this article is has helped you determine when it is appropriate to consult with a personal injury attorney. If you still have any doubts and are in the Melbourne, Florida, area, feel free to call my office anytime for further advice. I am Brad Sinclair of Sinclair Law, where we go the extra mile for you.